Most of us learn at a young age that we need to see the dentist at least once a year. But many people are not familiar with periodontists in Orlando or what they do. Periodontitis is more commonly known as gum disease, and a periodontist is a specialist with intensive training to help diagnose, treat, and prevent infections of the gums. In addition to at least four years of dental school, periodontists receive three additional years of specialty training, culminating in a certification by the American Board of Periodontology. Because gum disease affects one in every two Americans aged 30 or older, periodontitis is something we should all be aware of. Who should see the periodontist? You might think that only those people with serious and advanced gum issues need to visit a periodontist, but in fact, a periodontist can help anyone whose gums need a little extra TLC. The truth is that many people miss the signs of gum disease before it is too late and the infection has advanced. If you think you have an increased risk for gum disease – for example if you are a smoker or you have diabetes – or your gums are inflamed or showing signs of infection, you should begin your search for periodontists in Orlando. 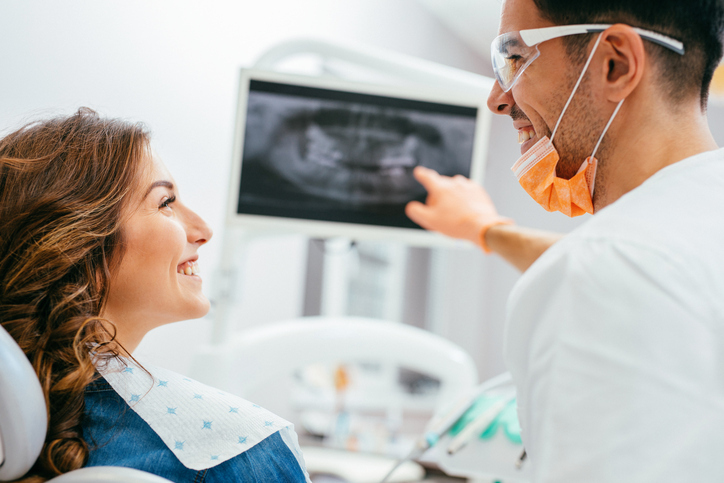 A visit to the periodontist will typically involve a review of your medical and family history as well as a comprehensive initial examination of your gums, teeth, and jaw. You will also get x-rays so the periodontist can see the bones around the teeth. Lastly, you will have a consultation with your periodontist to discuss next steps in treating your condition as well as preventative measures to protect the health of your gums going forward. When is the best time to schedule an appointment with a periodontist? The longer you wait to have your gums examined, the higher the potential for tooth loss and irreversible damage. When caught early, however, periodontitis can be reversed fairly easily and inexpensively. For that reason, it’s important that you make an appointment with your dentist, or periodontist, at the very first signs of discomfort. What’s the best way to find a periodontist that’s right for me? A quick search on the Internet is a good way to start your search for periodontists in Orlando (if your search led you here, kudos!). You can also ask your regular dentist for referrals in your area, and ask friends and family for recommendations. If your dentist has decided your periodontal pockets are deep enough, he or she might send you to a periodontist for more specialized treatment. Once you have the name or names of periodontists to see, give the front office a call and find out about their general policies and procedures. If you’re anxious or nervous about your first visit, that’s okay! Don’t hesitate to let the staff know about any concerns you might have so they can help you stay calm and comfortable during your examination. Is a visit to the periodontist covered by my medical and/or dental insurance? Your dental insurance may provide full or partial coverage of periodontal services. The best way to find out is to call your insurance provider and ask. Some periodontists might also offer financing and payment plans to help you manage the cost of services, so be sure to bring that up with the front office before your first visit. If you are looking for high-quality, cutting-edge periodontists in Orlando and the surrounding area, consider Jeffrey J. Sevor, DMD and the friendly and professional staff at Central Florida Periodontics & Implantology. Give us a call or fill out a quick online form to learn more about our practice and schedule your appointment today.